It’s time to celebrate the Year of the Dog with a burst of luck and happiness with enthralling world of Fu Chi the spectacular new progressive slot from Real Time Gaming at Slots of Vegas Online Casino. 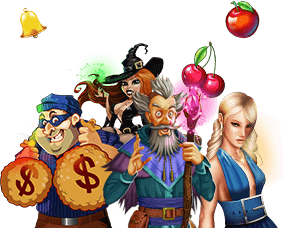 Travel to faraway lands and fall into a world of untold fortune as you bring in the New Year! Sign up now with a minimum $50 deposit to receive a 250% Bonus and 50 Free Spins with coupon code HAPPYHOUR. The Lucky Dog is the Wild, which doubles wins; hitting three of the Zodiac scatter symbols triggers the free games feature for a chance to win triple prizes, double free games and massive bet multipliers! Fu Chi is a 5-reel, 50-variable payline online slot, which gives you plenty of chances to win free games and prizes on every turn. You can change the paylines from 1-50. The coin size is also adjustable, allowing you to customize the bet size to suit your bankroll. Fu Chi is designed to accommodate both penny slot enthusiasts and those who like to spend a little bit more on each spin of the reels. A 5-reel title with 50 paylines makes it possible to keep the wagers for the game low or go high if your bankroll allows. The Autoplay feature is convenient and easy to use; just set a bet level, determine how many spins you want to play, and enjoy watching the scatter symbols appear to earn as many as 30 free games with each spin. Wild Symbol: Lucky Dog Wilds count for any symbol including scatters. Wilds double prizes on a win. Scatter Symbol: Zodiac The appearance of three scatters triggers the free games feature. 3 scatters earns 15 free games, 4 scatters earns 20 free games, 5 scatters earns 30 free games. Free games can be double when no Wilds appear during the triggering combination. Prizes count for triple within the free games feature. Major or minor progressive jackpot can be won at the conclusion of any base game spin.